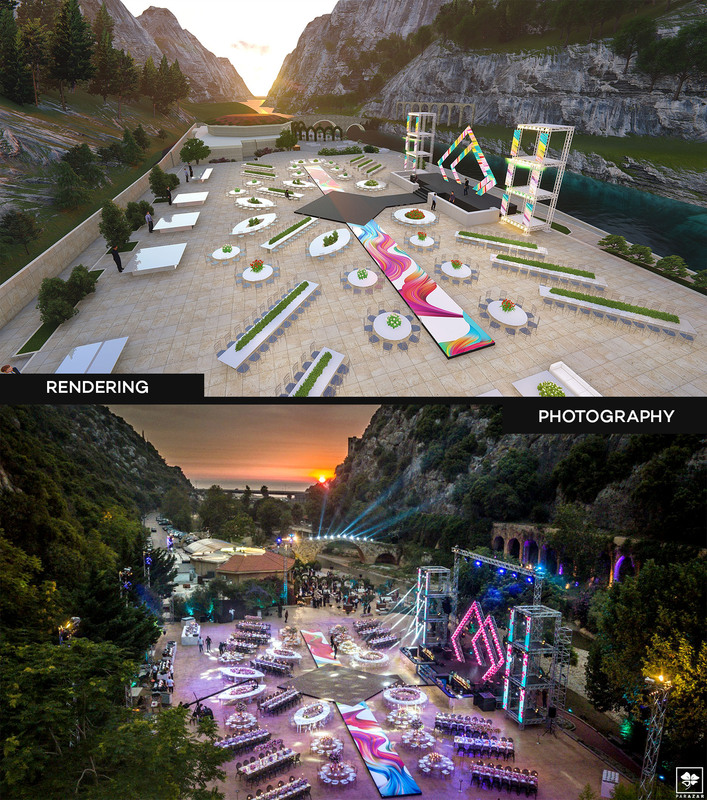 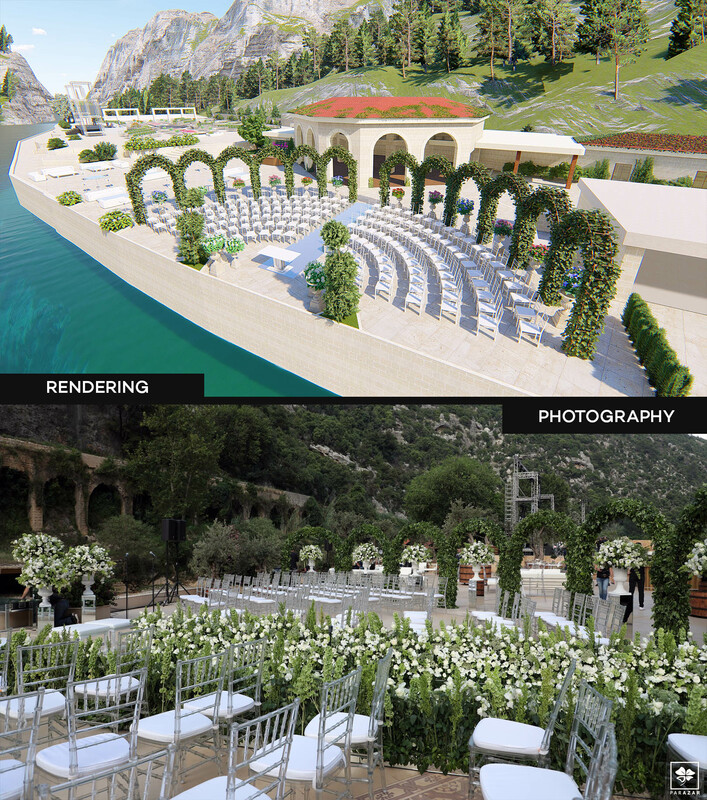 In order to visualize their next event, JYH International Architects produced their wedding in 3 dimensional images that were very close to reality, using BIM on repetitive objects containing proprietary data that unveiled a part of the cost of the event. 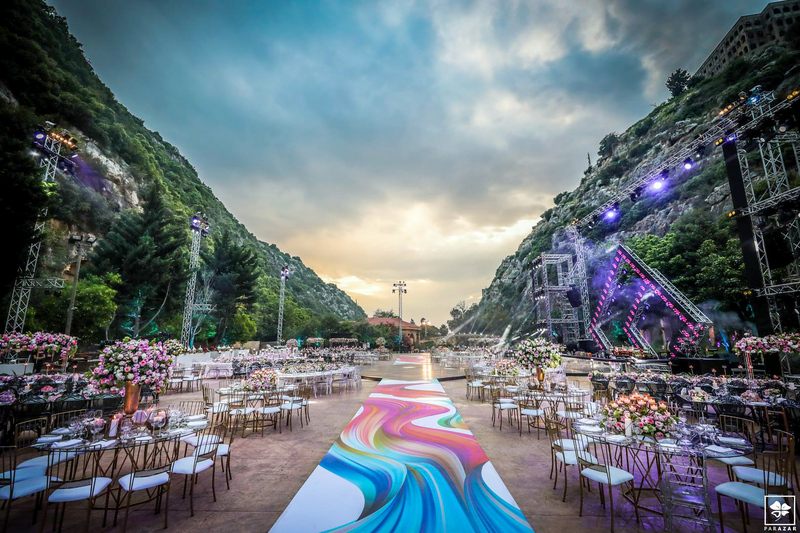 Different models of chairs and tables had information classified as category, design company the place where it is manufactured, color chart for pairing and aesthetics ,the size as width and height, and the rental cost. 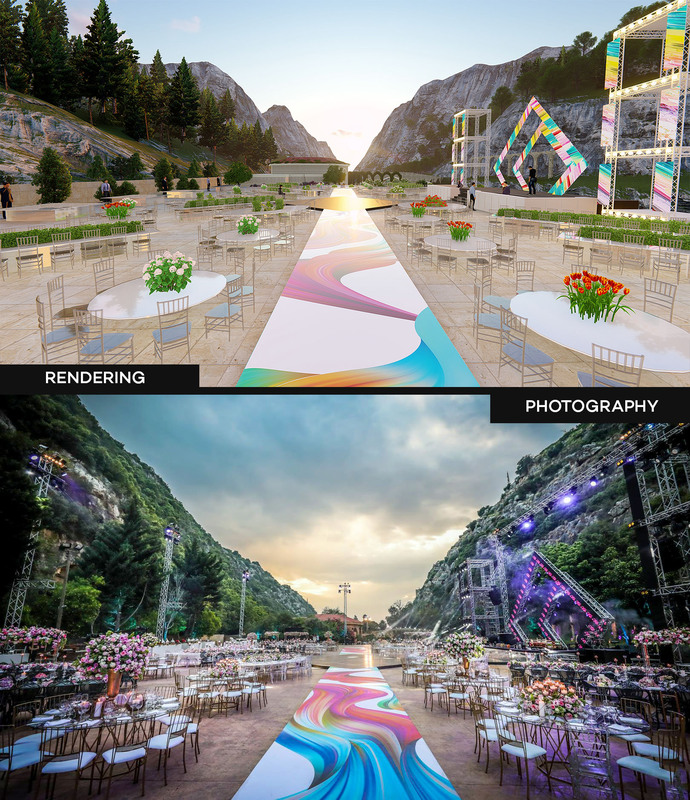 The elements that had similar properties like the arches of the ceremony were classified as components; modifying a component will modify all similar geometry. 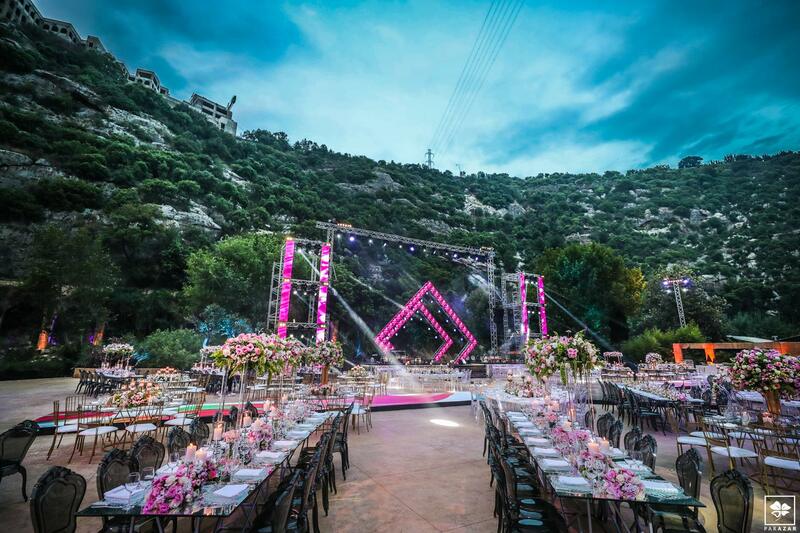 So when we modified the area required to fit a certain number of chairs, the components will adapt accordingly.